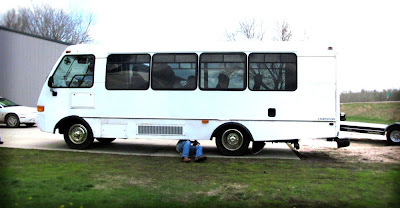 Yes, we traded our beautiful 2003 Chevy Express van for a 1997 Champion Freightliner bus yesterday. This change has not come about without much consideration, research, long talks, phone calls, dreaming, and advice. It was a decision not reached easily, but we made the right choice. 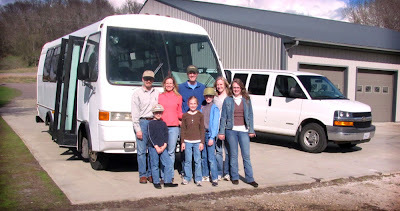 Our family has always loved dreaming about busses, even before we seriously started the band. 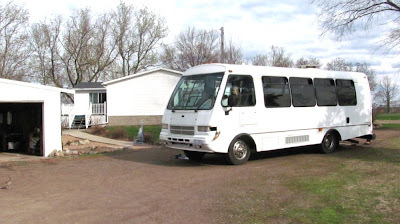 We would go on bus sale websites and stay up late talking, laughing, and dreaming. There was “Vanilly”, “Thunderbolt”, and, oh yes, “The Banana”, but all of those were too expensive. 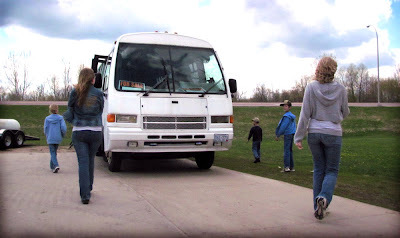 But knowing tour busses eat fuel like crazy, we decided to be more realistic and look into Sprinters and shuttle busses. 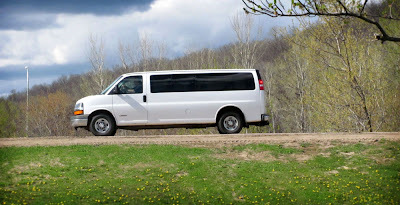 We have friends who have gone the Sprinter route and they enjoy it, and we have played around with making a Sprinter work for our family for many months now. With gas prices going up and longer trips facing our ministry, we knew our van would have to be replaced. Now today, it’s sitting in our driveway. It is not in mint condition, and needs some elbow grease and scrubbing. The chasis has over 200,000 miles on it, and the engine (it was replaced several years ago) has 80,000 miles. 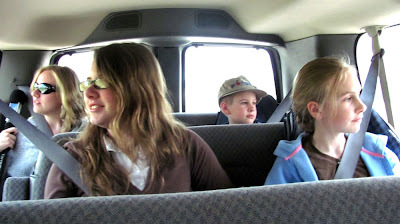 Our van and trailer got about 9 mpg (gas), while the Glory Bus (hopefully) will get about 16-18 mpg (diesel). It needs a hitch and a few other fix-ups, but it is definitely a step up in needed space and mileage. 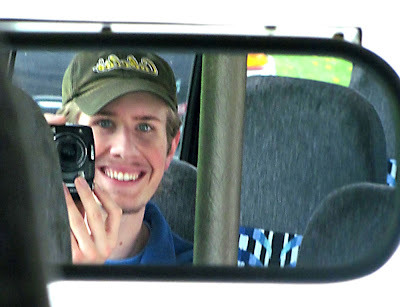 Caleb, all smiles during the final trip in the van. 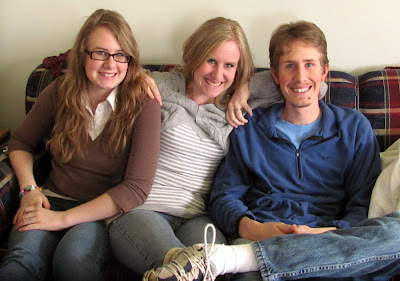 BLT: Bacon, Lettuce, and Tomatos – er, Ben, Leesha, and Taylor – chillin’ on Grandpa’s couch. 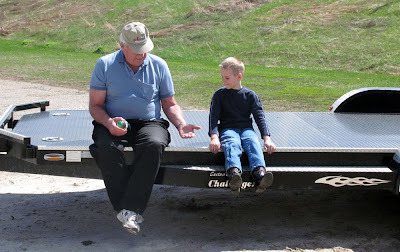 🙂 We stopped over at Grandpa’s house for lunch, and he rode along with us to check out the bus. Who else? 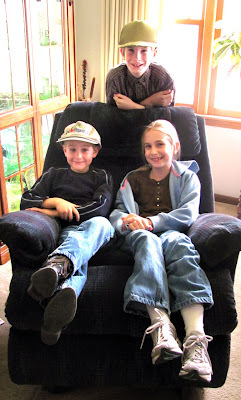 The LAs hanging out in Grandpa’s chair. Almost to New Ulm! Dad, driving his van for the last time. What a “beauty”! 😀 That’s Dad underneath, checking everything over. “Wanna ride?” Taylor and Leesha goofing off. The test drive! 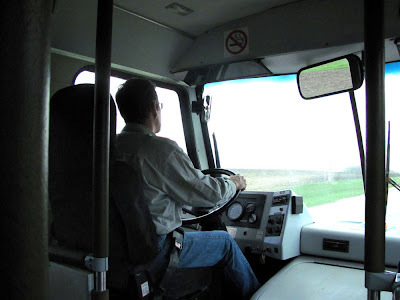 Years ago, Dad was a school bus driver, so his training (not coincidental, because there are no coincidences when you walk with the Lord!) comes in very handy with the bus! 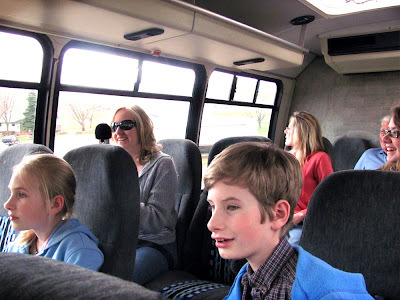 Experiencing the Glory Bus for the first time. You can tell Caleb’s mind was settled during the test drive! This is an adventure! We have taken a step forward in our committment to the ministry God has called us and there is no turning back. That is scary, yet very exciting! The van has been with us since the real “Great Adventure”, and feels like an old friend, a family member, so it was sad to say goodbye to it. 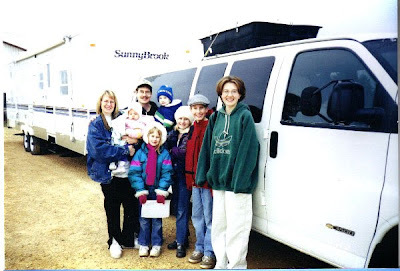 The family and the van right before we started on the first Great Adventure in 2002. 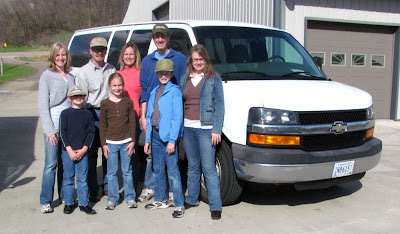 The last moments with the van, almost nine years later. One of the things I personally will miss most about it is the little people stickers on the back window. Having sat in the back seat for many years now, I have had the privilege of watching other drivers smile and point at all our “little people”. For the last time yesterday, I saw a young boy trying to count all of us, and then watched as he got his mother counting as well. To see their joyful expressions and laughter was humorous and special to me. 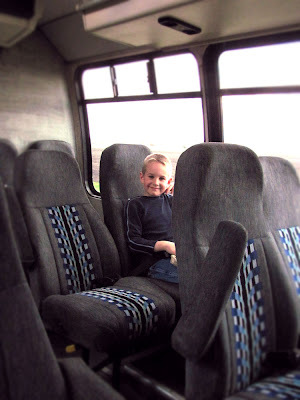 After trading the van and beginning the journey back home in the bus, Dad suddenly yelled out from the driver’s seat, “Look! There’s a rainbow!” Immediately a peace and reassurance passed over us and joy filled our hearts as we stared in shock at the rainbow directly ahead of us. We couldn’t believe it! 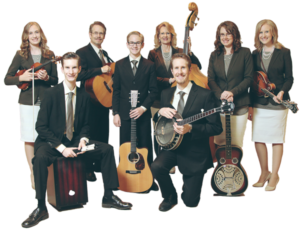 If you have heard/read our Great Adventure story, you’ll recall how after the church building project fell through in Brentwood, California, Dad and Mom sat in our van praying, seeking the Lord’s guidance. A rainbow suddenly appeared in the sky before them, and remembering how rainbows symbolize God’s promise, Dad and Mom felt peace, knowing God was with our family. He had a plan, even when all our plans were falling through. We eventually left California, trusting in the Lord. Arriving at a gas station in Blythe, Arizona during the return trip, we spotted a rainbow to the north and decided to follow it, having no other place to go. 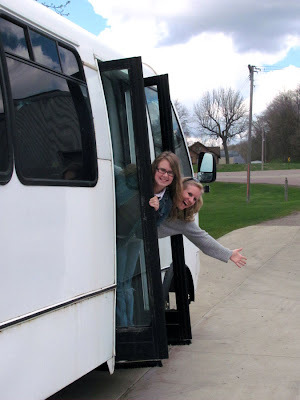 After traveling for a while, Mom found a campground in the direction we were heading, and it turned out to be the campground which we called our second home (for four months), and the place where we met Mal. Rainbows have become a sign of God’s visible presence, care, guidance, and reassurance for our family, and that rainbow, we confidently believe, was a promise from the Lord that this is the direction He wants us to go in our journey. What a precious sign from God! Thank You, Lord! Very cool! Congratulations on the bus! The rainbow confirmation is really neat. 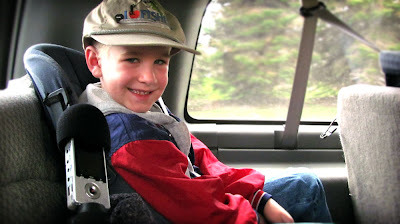 A CD player is SO nice on long trips! *Josh: Yes, it is awesome! 🙂 We are very excited about the Glory Bus, and are already having fun adventures fixing it up and traveling in it! It’s a blessing. *Daniel: Thanks! 🙂 We are still in awe of the promise God gave us through the rainbow, and are so reassured in His amazing provision and guidance for our family. PTL! Alyssa: Oh, the journey God is leading our family on is so exciting! We can’t wait to see what He has in store! 🙂 We weren’t expecting a CD player in the bus on account of its age, so it was definitely a surprise blessing! We would have survived without a CD player, but it would have been greatly missed, as we love listening to music while traveling!